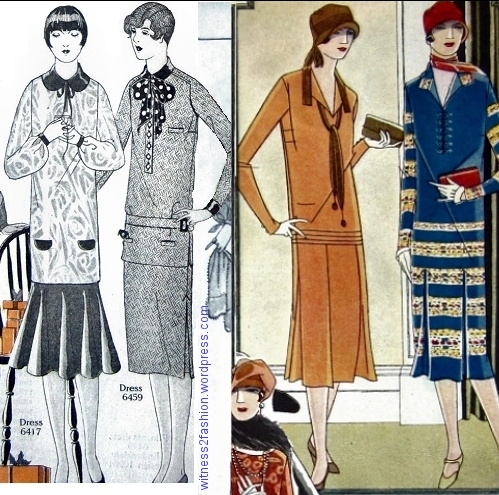 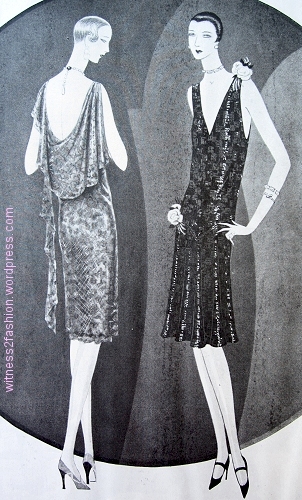 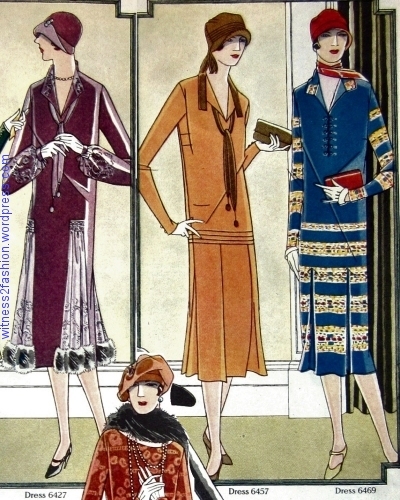 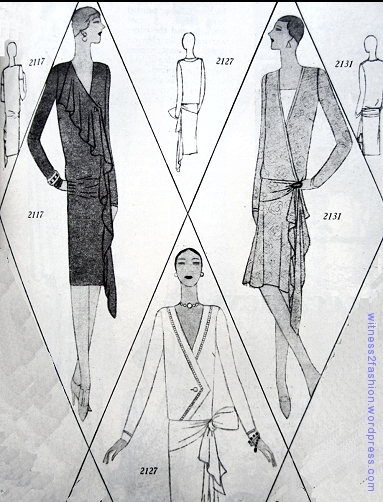 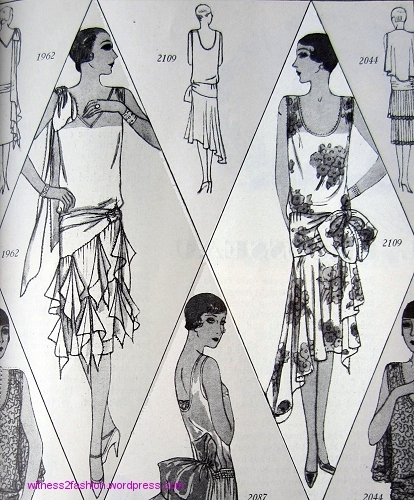 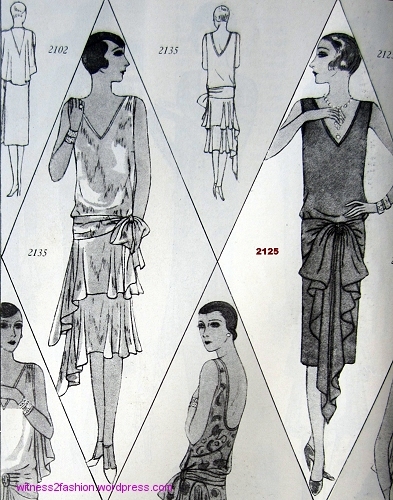 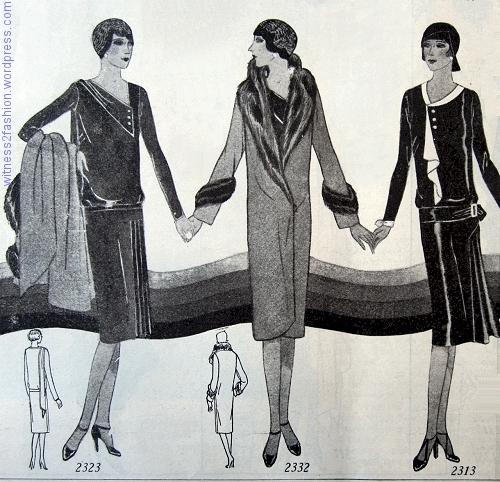 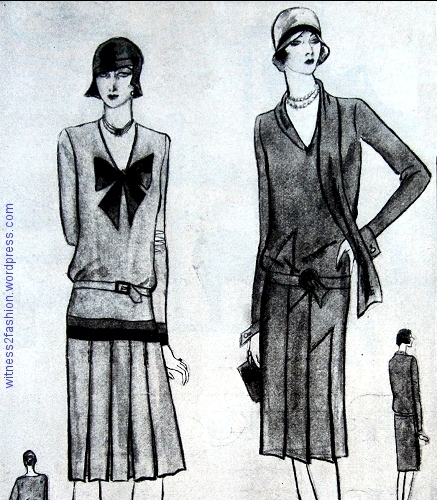 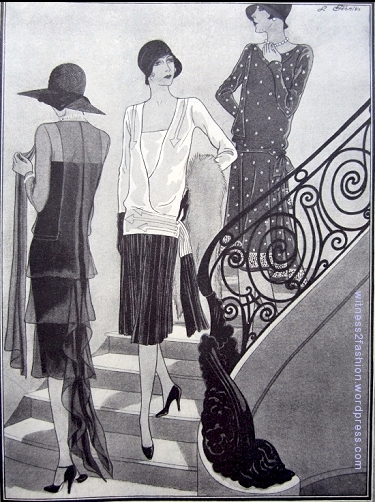 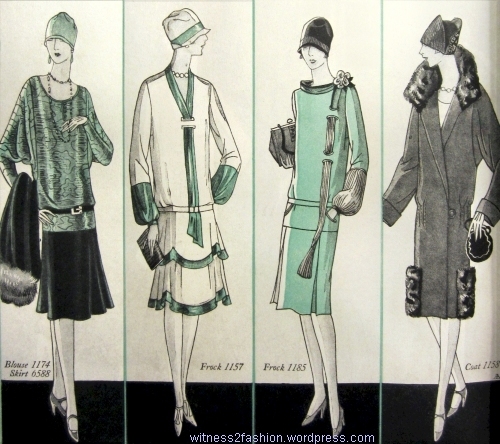 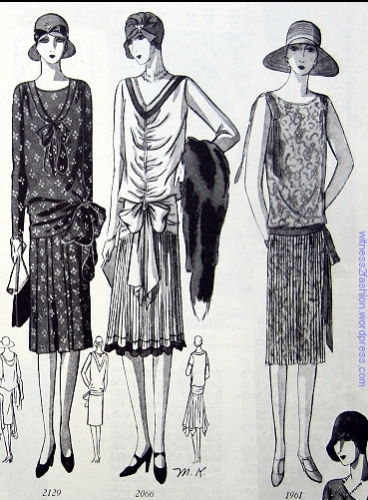 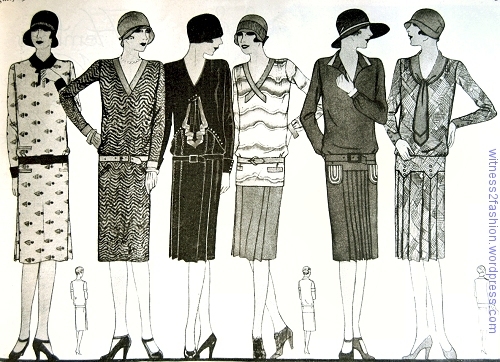 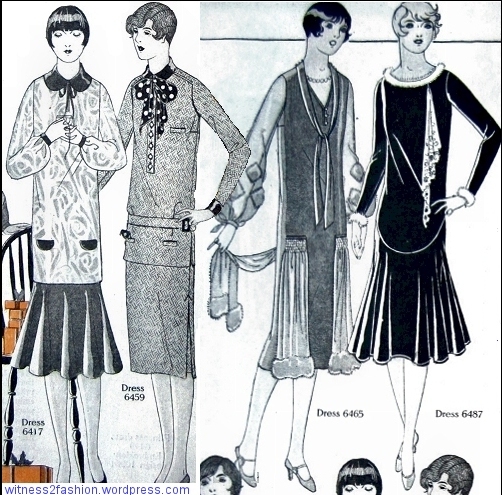 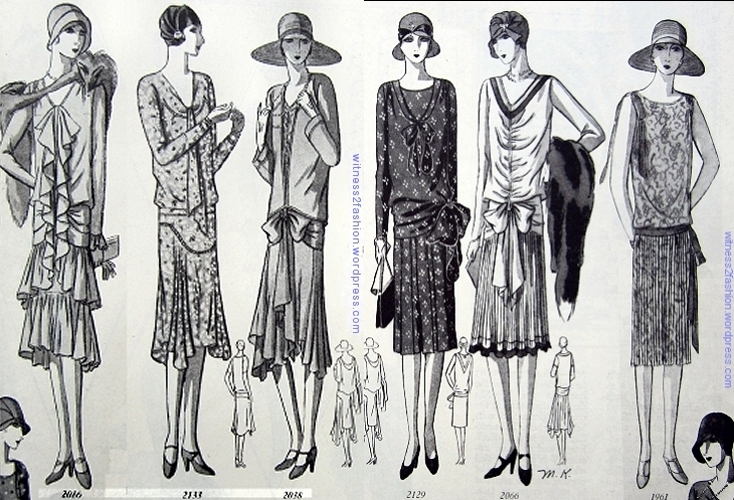 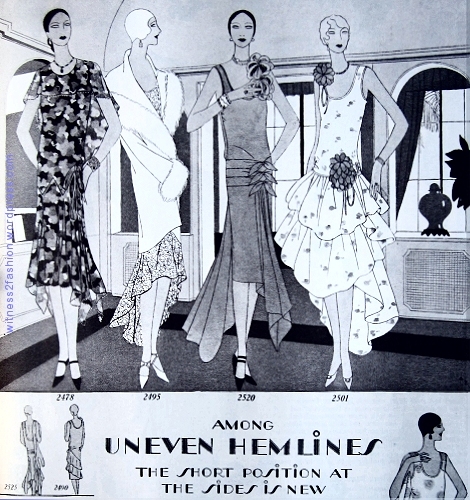 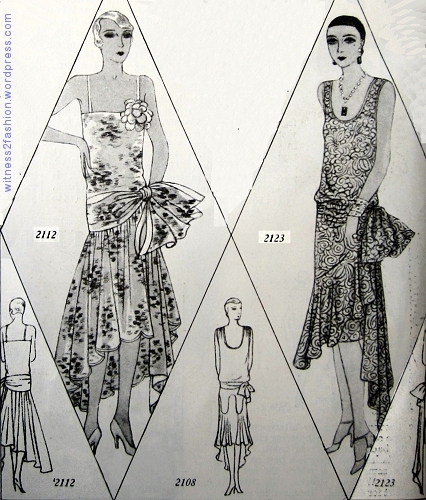 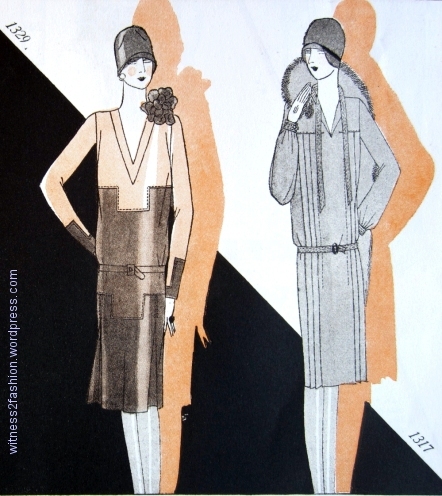 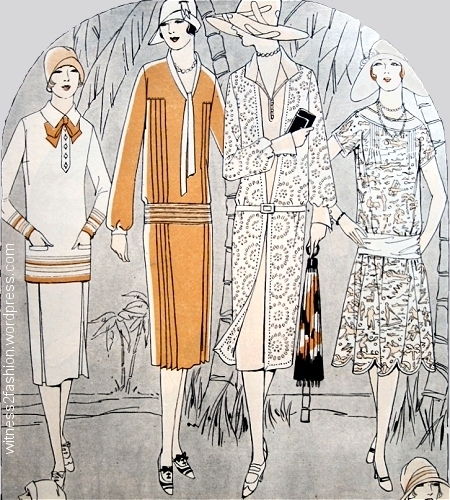 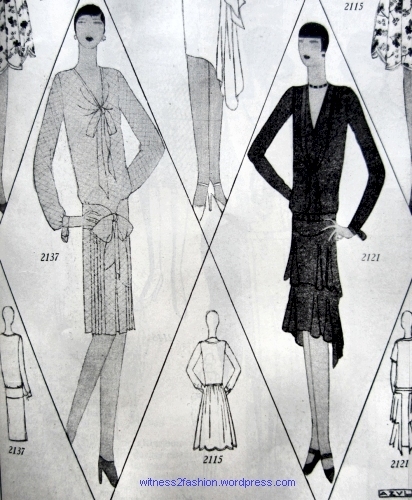 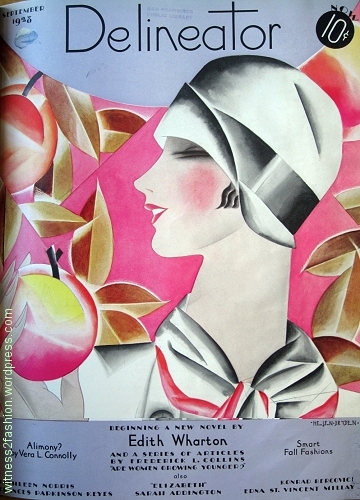 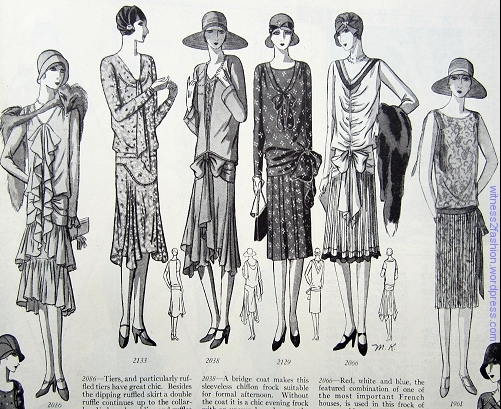 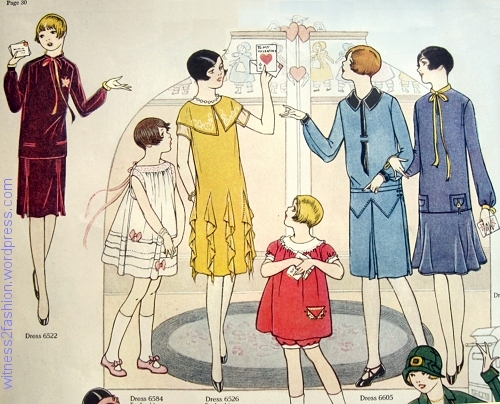 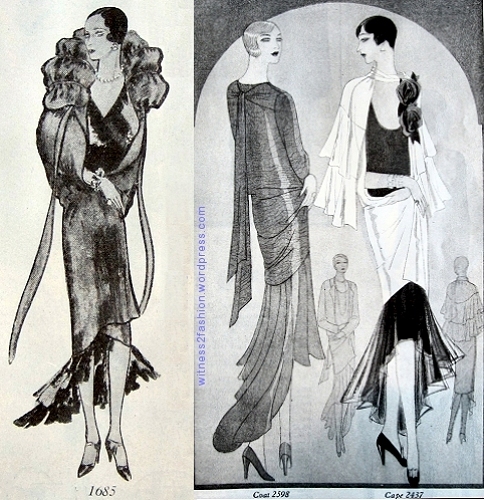 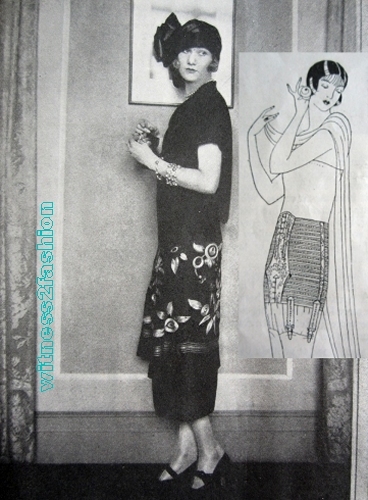 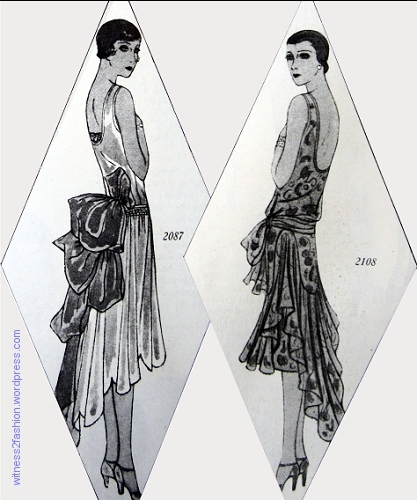 In our breast-obsessed culture — the culture of push-up bras, cleavage, silicone, and breast augmentation surgery – we are bewildered by the early 1920s fashion ideal, which emphasized a curve-free, flat-chested silhouette. 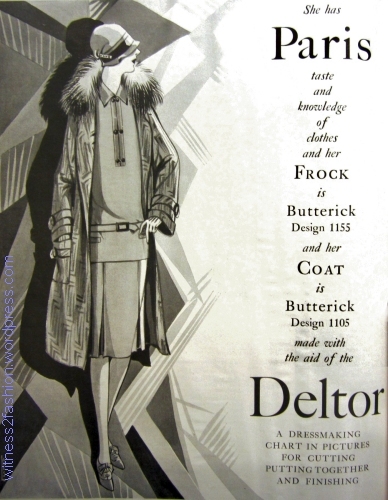 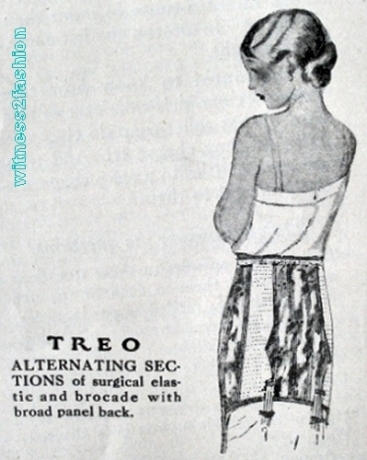 This ad for a corsette or corselet, as they were sometimes called, shows a lightly boned combination brassiere and girdle creating the ideal silhouette of the early 20s. 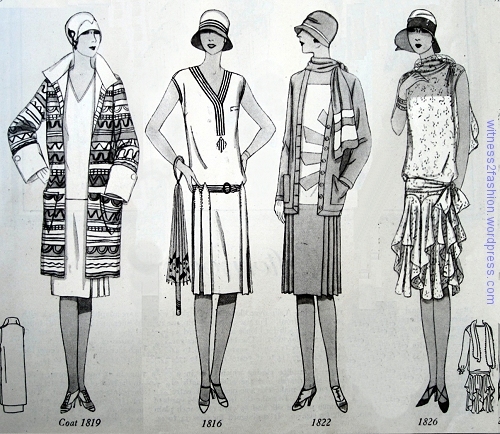 What we forget is that the ideal twenties figure was as flat in back as it was in front. 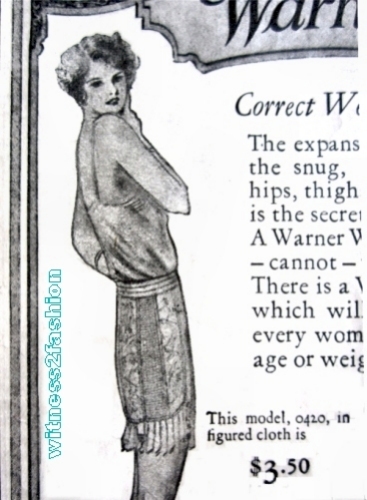 Even slender women required some help in achieving an unnaturally flattened bottom. 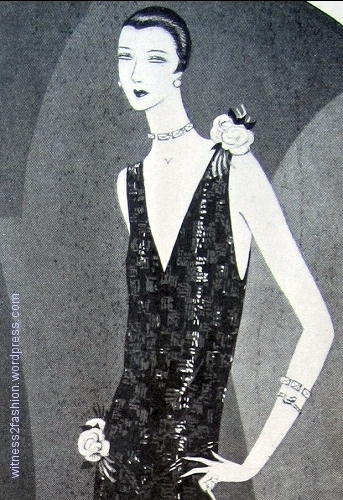 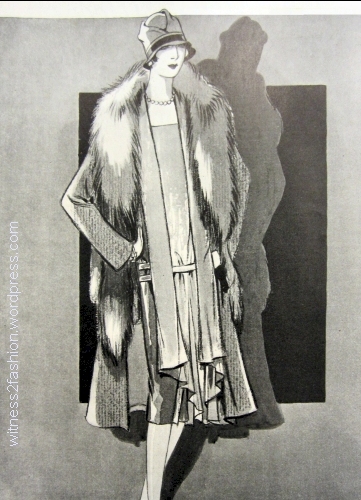 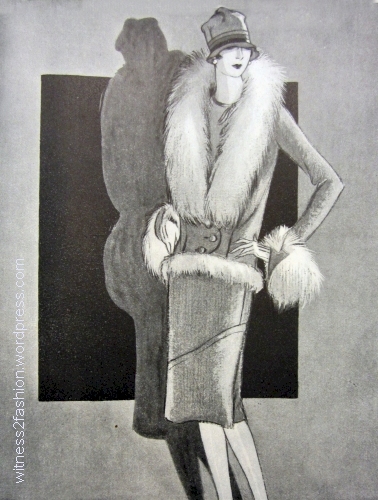 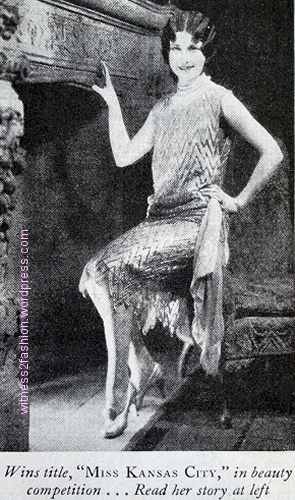 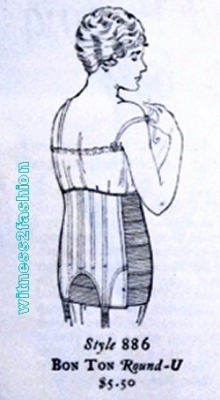 Illustration of a woman having a dress fitted, from an ad for Bon Ton Corsets, April 1925. 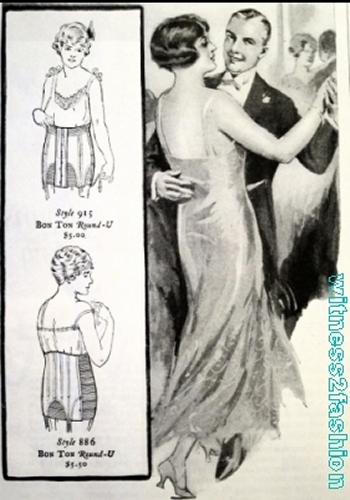 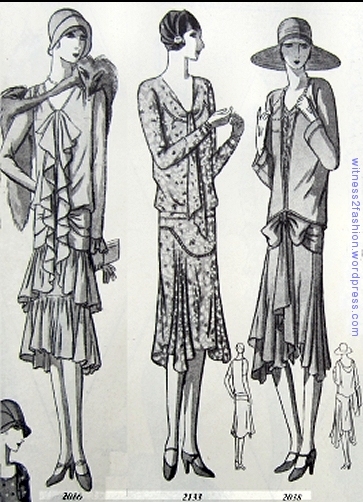 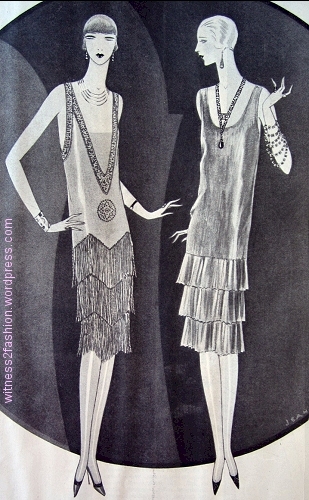 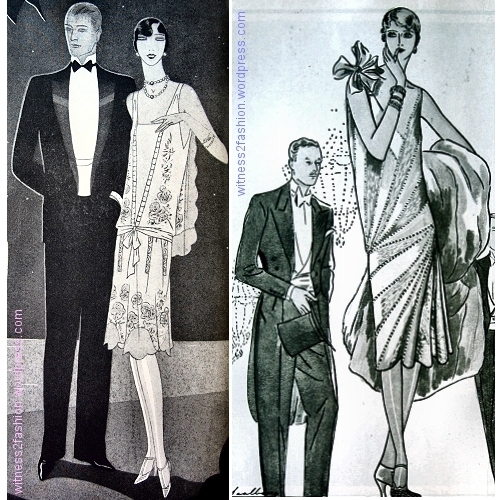 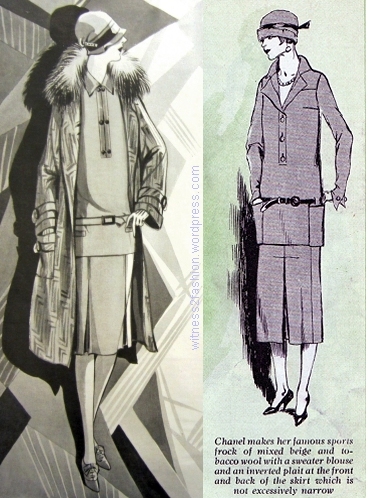 Two corsets from the same ad for Bon Ton Corsets, Delineator, April 1925. 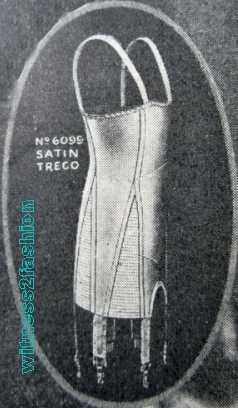 You can compare it with this 1925 Treo girdle for average figures. 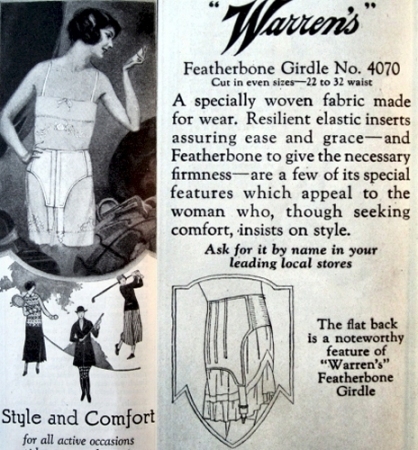 The Warren’s Featherbone allows the legs to move more easily, but does not allow for any development of the gluteal muscles. 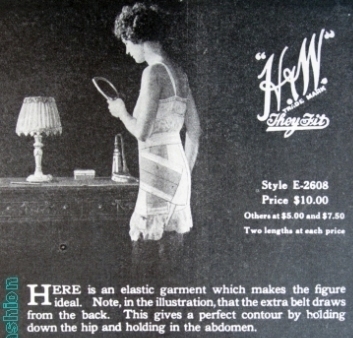 Larger women needed more help. 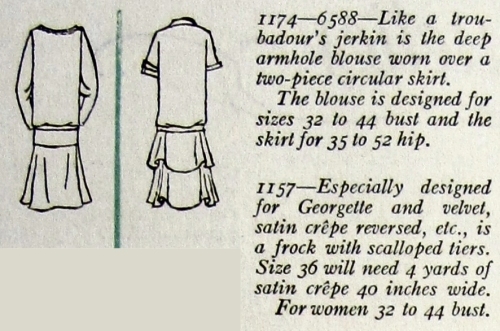 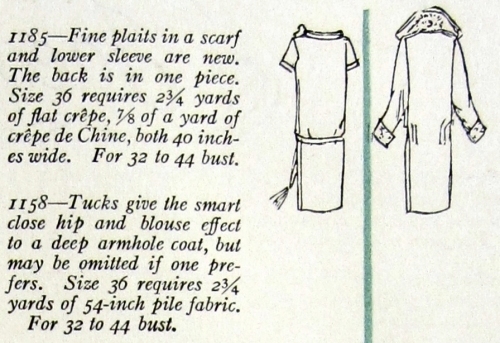 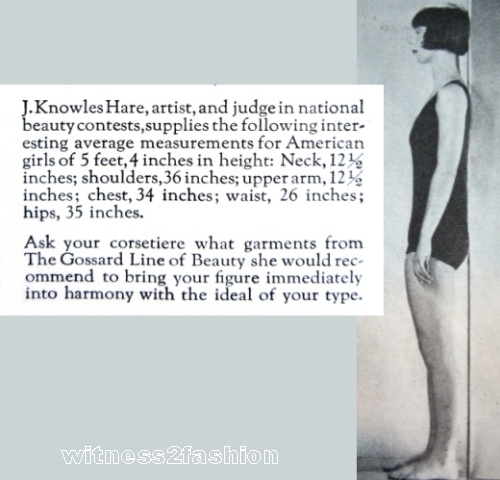 The 1925 Gossard girdle advertisement, with its embroidered dress from Frances Clyne, which appears at the top of this post contained this description of “average measurements” for an American Girl, 5′ 4″: chest 34″, waist 26″, hips 35″. 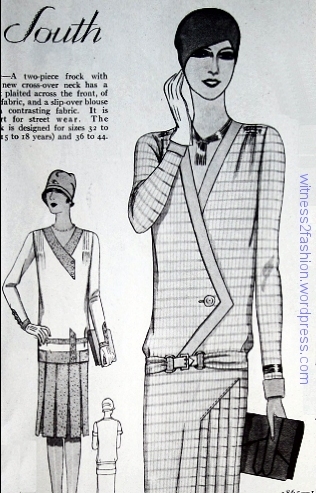 Presumably, she was wearing a girdle.